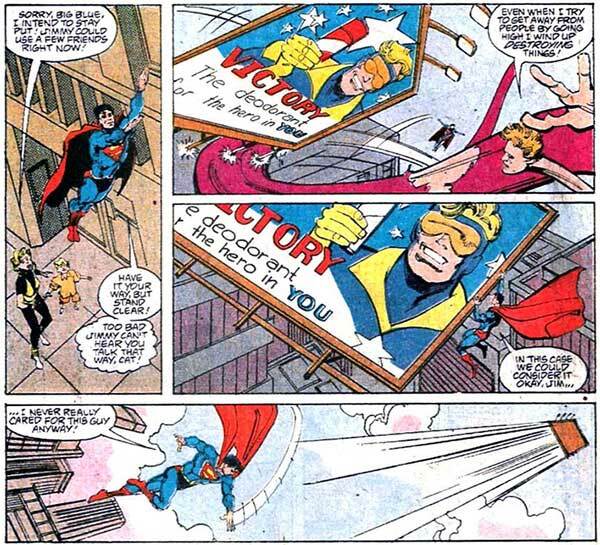 PRODUCT PLACEMENT: Booster Gold appears in a billboard advertising Victory, "The deodorant for the hero in YOU." 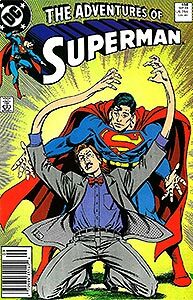 Jimmy Olsen accidentally knocks the billboard down, and Superman throws it into space. And that's the last we see of Booster Gold in this issue.